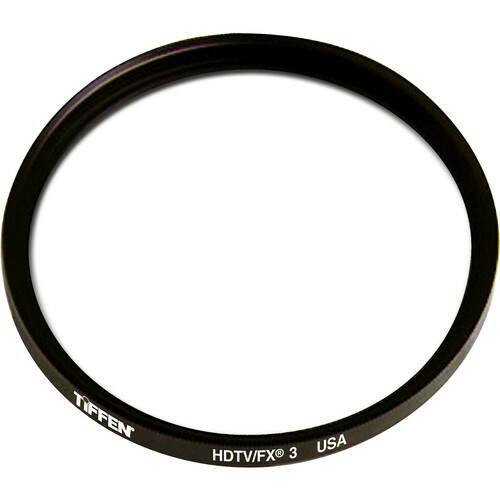 The Tiffen 4.5" HDTV FX 3 Water White Glass Filter takes the edge off the unnatural look today's HDTV yields. It makes people look their best under the ultra-sharp and contrasty images that HDTV generates. With the increase in HDTV production for TV and motion pictures, HDTV FX filters address both contrast and sharpness associated with HDTV. HD video is higher in contrast than traditional film. The HDTV FX filter takes the edge off undesired "tack sharpness" associated with HD. It creates a "film look" by reducing contrast and also provides subtle improvements in shadow detail.